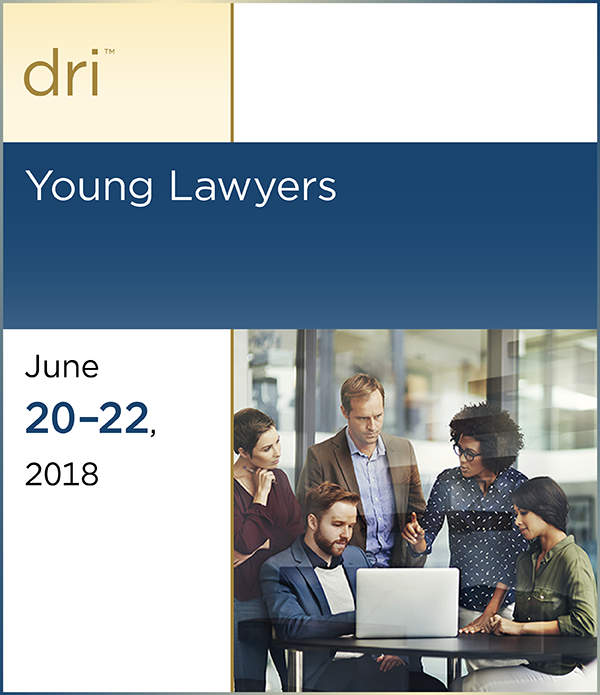 The 2018 Young Lawyers Seminar will provide training and skills to help you “build your brand” as a young lawyer, both inside and outside your firm. Building your brand as a young lawyer is about more than just marketing. It’s about building your litigation and project management skills, developing subject matter expertise and marketable practice niches, and maintaining and promoting your own wellness. Young lawyers can expect live, interactive demonstrations of core advocacy skills, hands-on workshops, panel discussions, and more. Speakers include an Oregon Court of Appeals judge, a federal district court judge, in-house counsel from leading companies, expert consultants, and experienced defense lawyers. The seminar will also feature extensive networking opportunities to enable all attendees to make new contacts and reconnect with old friends.